Flourishing flowers are like nature's way of sharing a smile! 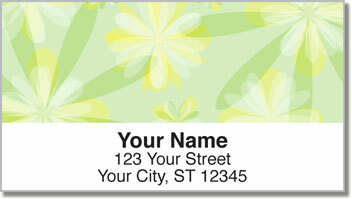 You'll love the pretty pastel flower petals featured on this cute return address label selection available exclusively from CheckAdvantage. When you look at them, you'll have a hard time staying in a sour mood. When you send them out on your mail, it's like you're spreading smiles to others! 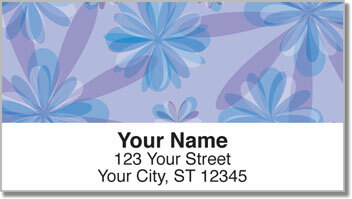 Pretty Petal Address Labels are also a convenient product that will save you tons of time! 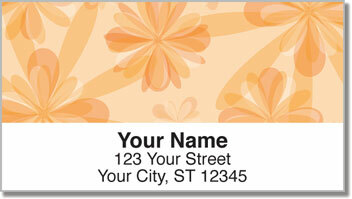 The self-adhesive backing means all you have to do is peel and stick your name and address on every envelope. Get your very own Pretty Petal Address labels today! This unique floral print design is also available as a set of matching personal checks.